You can use them at work, present on your website, you can show everything you want anywhere you want. Furthemore, they don’t need to be fancy. Simple ones are usually the best. 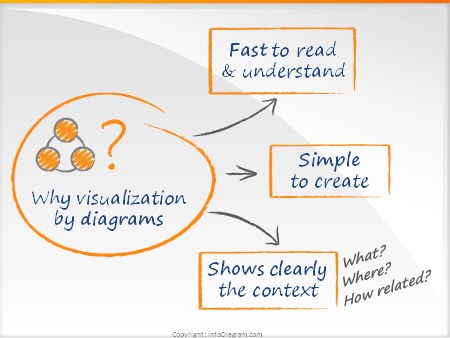 Another point for diagrams is that people remember images better, than text (even if you are using bullet points).